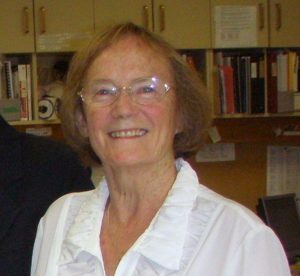 Bonnie received her nursing diploma from Vancouver General Hospital in 1965 and has nursed in numerous hospitals and tertiary care centers throughout BC. More recently she has been Director of Patient Care Services for the Simon Fraser Health Region, where she is responsible for clinical nursing education in the four acute hospitals in the region. Prior to this position she was Manager of Education and Research for the Richmond Health Services Society. Before becoming President of RNABC, she served on the Board of Directors as a director at large, vice-president and president elect. She aims to give nursing a higher visibility with the public and policy makers regarding practice. Bonnie Lantz, “Self-determination”, Nursing BC, December 2001, p. 4. Bonnie Lantz, “Silence Is not Golden,” Nursing BC, 2002, p. 4. 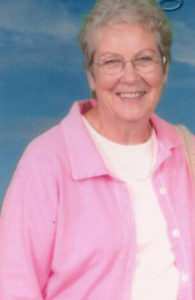 Nancy completed her nursing studies at the Kingston’s School of Nursing in 1968 and her BSc at Queens in 1969. She taught in Montreal for several years before moving to Vancouver in 1979. Here she joined the BC branch of the Red Cross and completed her MBA. Nancy subsequently worked for the International Committee of the Red Cross in such places as Zaire, Ethiopia, Kuwait and Bosnia, facilitating the provision of medical care in areas rife with war and violence. Her last assignment was in Chechnya at the hospital in Novye Aragi. In the morning of December 17, 1996 masked gunmen entered the hospital compound and killed six Red Cross workers. Malloy became the first Canadian Red Cross worker to be murdered abroad. Nancy was posthumously awarded the Florence Nightingale Medal from the International Committee of the Red Cross, and in September 1997 she received the Meritorious Service Medal from Governor General Romeo LeBlanc. In June 2001 a monument was unveiled in Ottawa to recognize those who died abroad while supporting Canada’s role in international development and humanitarian assistance. “Friends Remember “ Nurse’s Presence”, Vancouver Sun, December 18, 1996, pp. A1, A9. Malcolm Gray and Scott Steele, “Canadian Nurse Slain in Chechnya”, MacLeans, December 30, 1996. “Nancy Malloy Remembered as a Nurse’s Nurse”, Nursing BC, January-February 1997, p. 11. “Canadian Nurses Grieve for Slain Red Cross RN”, The Canadian Nurse, February 1997, pp. 20-21. Nursing BC (29), 4 (August-September 1997, p. 31. Faye graduated from Victoria Hospital School of Nursing where she worked until her return to University of Western Ontario in 1963 to complete her BScN. She worked in St. Paul ’s post-anesthetic room from 1974 until her retirement in 2000. Faye was an active member of the BC History of Nursing Group, volunteering with the St. Paul’s Hospital Archives Department. 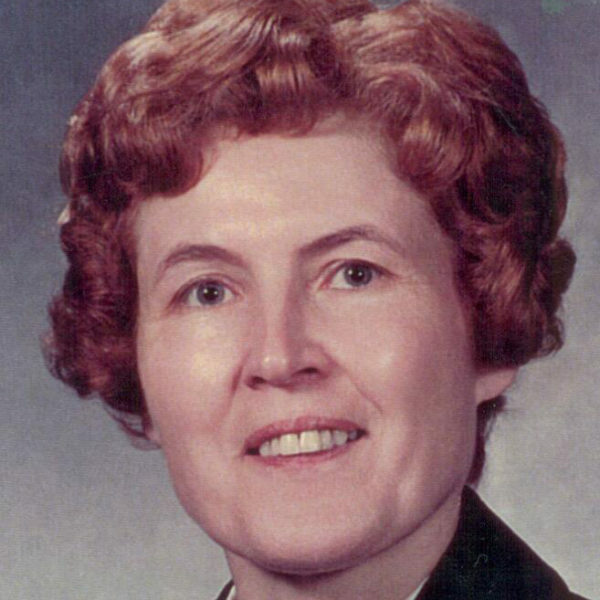 After attending the Saskatoon City Hospital School of Nursing, Marlyn McLean spent most of her career (1963-1965 and 1969-1993) as a flight nurse for the Saskatchewan Government Air Ambulance Service. She was required to be ready 24 hours a day to fly from the Saskatoon base to any point in Saskatchewan, and even further afield, to transport patients to medical care in a larger urban centre. Her many adventures included four successful baby deliveries en route. On one occasion they survived an encounter with a flock of geese, one of which went through the windshield. Four newspaper articles and brochure regarding the Saskatchewan Air Ambulance. Born in Langenburg, Saskatchewan, Shirley graduated from VGH in 1947. She worked as a maternity nurse, and after her marriage to Don in 1949 lived in Fort St. John, Nanaimo, Crofton and Woodfibre. After settling in Squamish in 1966, she joined the staff of the Squamish General Hospital in 1971, becoming head nurse in 1975. After her retirement in 1990, she enjoyed travelling, bridge, dancing, singing and all kinds of music. Beth McCann was an outstanding nurse educator. She was born in Vancouver and graduated from VGH School of Nursing in 1939 and received a BA and a BSc (Nursing) from UBC in 1940. 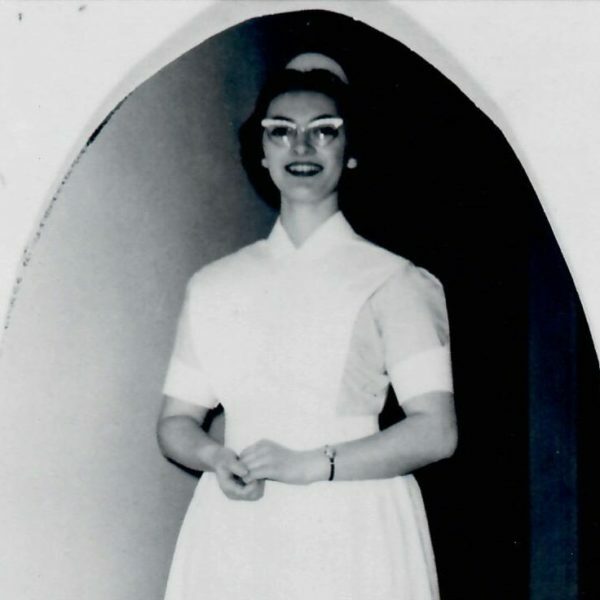 Following graduation, she taught nursing at Royal Columbian and Vancouver General Hospitals. She joined the faculty of the School of Nursing at UBC in 1947, becoming the first nursing instructor to work on and off campus with UBC’s nursing students while they were at VGH. She enrolled in the Wayne State University Master of Science program as a W.K. Kellogg Fellow in 1952-53. 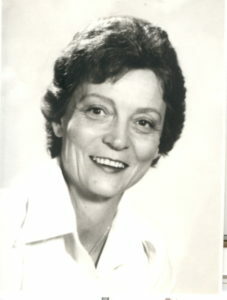 She returned to teach at UBC until her retirement in 1982, and was acting director from 1968 to 1971. She states “I am a nurse first, and a teacher a close second”. 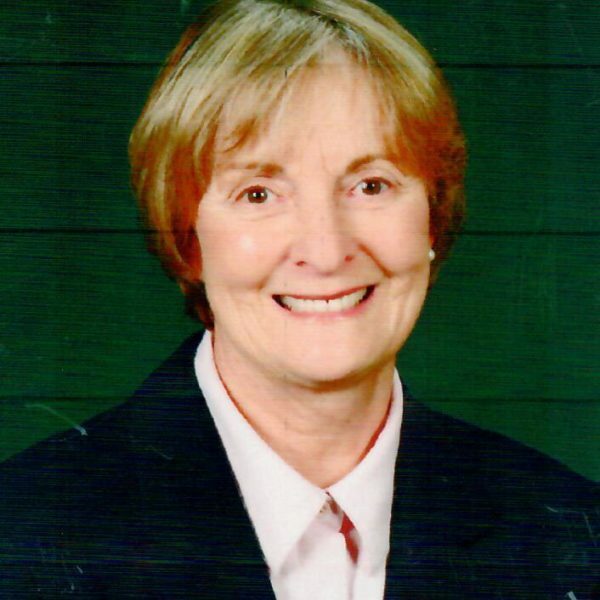 Beth was President of the Nurse Administrators’ Association of BC, Chair of many RNABC Committees, a founding member and president of what is now the Canadian Association of University Schools of Nursing, and served on the UBC Senate. 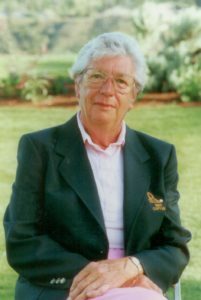 The Beth McCann Memorial Scholarship was established following her death. 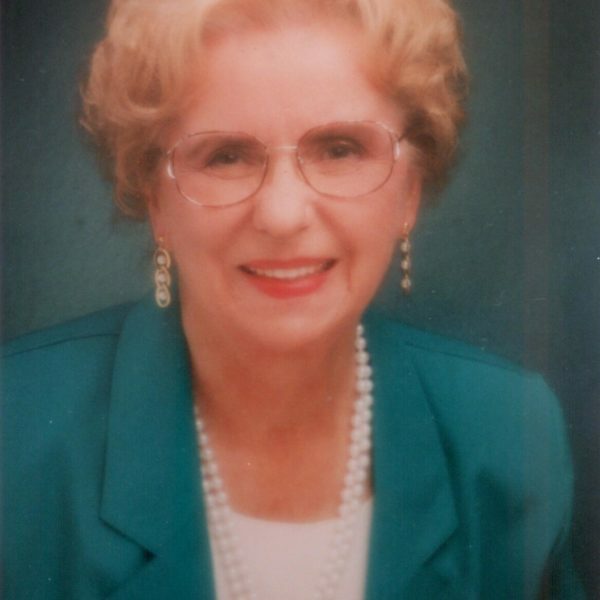 She was posthumously awarded the RNABC Award of Excellence in Nursing Education. Beth was an exceptional ambassador for the School and was very active in the Nursing Division of the UBC Alumni. Her home was a warm and welcoming place for numerous nursing events. Her dream was to write the history of the School, but her untimely death put a stop to this project, however, her research materials were a valuable resource, used later, in the writing of the School’s history in 1994. Transcript of oral history interview, 1993. Nursing graduating essay, Spring 1940. Elizabeth K. McCann, “A Nurse’s Home or Anybody’s Home?” The Canadian Nurse, February 1946 (42), No. 2 pp. 123-126. 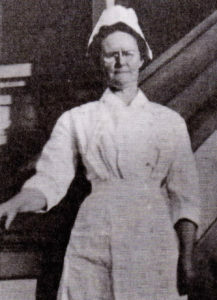 Elizabeth K. McCann, “The Camp Nurse”, The Canadian Nurse (42), No. 7, pp. 557- 560. Certificate for Elizabeth McCann as International Fellow in Nursing Education of the W.K. Kellogg Foundation, September 1952 to August 1953. Letter to “Dear Alums,” February 24, 1969. Letter from Jannetta MacPhail, September 13, 1971. Letter from Dorothy Arneson, March 7, 1961. Letter to “Dear Alum.” Includes questionnaire. Elizabeth K McCann, “Team Work,” The Slipstick, Vol. 5, 1954-55, p. 95. “More Interest Shown in Degree Programs”, Saskatoon Star-Phoenix, February 24, 1968, p. 19. Letter from Alice Baumgart, April 21, 1982. “Tomorrow.” Address to 1969 graduating class at Richmond Senior Secondary, June 6, 1969. Photograph of RNABC Award of Excellence plaque. Elsie was born in Downley, Buckinghamshire on February 29. After emigrating to Canada in 1943, she worked in a variety of nursing positions, including in the maternity ward at Clinton. She was night supervisor there and at the Goderich Hospital. After operating a private nursing home, she moved briefly to Slave Lake, Alberta in 1962, then to BC with her five children, where she took up farming in the East Kootenays. She ran a nursing home in Viking, Alberta and then became a nursing supervisor at Consort Hospital. She continued volunteer work until well into her 80s. When Shirley McIntyre retired from nursing at the age of 74, she was the oldest working OR nurse in BC, perhaps in Canada, having spent her last twelve years at the Gulf Islands Lady Minto Hospital. 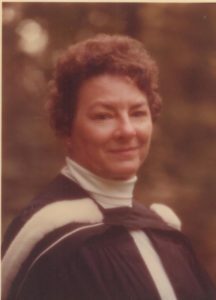 She had graduated from the Toronto Western Hospital Training School in 1950, and in 1977 completed her BSc at the University of Toronto. She describes six months in mission hospitals in India with her surgeon husband, and learning new techniques in laparoscopic surgery and endoscopy at Lady Minto Hospital as among the highlights in her career. After divorce from her husband in 1979, she worked at two full time positions to raise and educate her five children. Letters from Ethel Warbinek May 16, July 3, 2002. “Shirley McIntyre retires . . . sort of”, Gulf Islands Driftwood, November 14, 2001. Two photographs with covering letter. Isabel was born in Nova Scotia but moved to Greensboro, North Carolina, where she completed her nursing at St. Leo’s Hospital Training School for Nurses in 1918. In 1920 she became a registered nurse in British Columbia, and in 1922 in California. She appears to have stopped nursing to raise her family when she married Charles Mooney ca. 1925, but after her husband’s death in 1949 she worked as a nurse in various positions, mostly at the Pearson Tuberculosis Hospital in Vancouver. 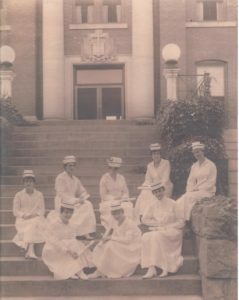 The photograph shows Mary McDonald with her fellow graduates on the steps of St. Leo’s Hospital, Greensboro, North Carolina. Mary is the second person from the left on the upper row. Archives Deed of Gift form with letter and e-mails, 2011. Letter from Kathy Murphy to Christine Switzer re her great-grandmother, December 13, 2010. Response from Switzer, January 2, 2012. Package prepared by Christine Switzer including timeline; thirteen photographs; Certificate of Graduation from St. Leo’s Training School for Nurses, November 29, 1918 (photocopy); Certificate for Board of Examiners of Trained Nurses of North Carolina, December 10, 1918; Canadian Nurses Association of British Columbia Certificate of Registration, November 23, 1920; California State Board of Health RN certificate, March 4, 1922; RNABC registration certificate. Greensboro Daily News article with a photograph of eight graduates From St. Leo’s Training School for Nurses, June 6, 1918 (photocopied) with accompanying letter. Ruth McIlraith (nee Littlejohn) was born June 2, 1913 on a farm in Arcola, Saskatchewan. 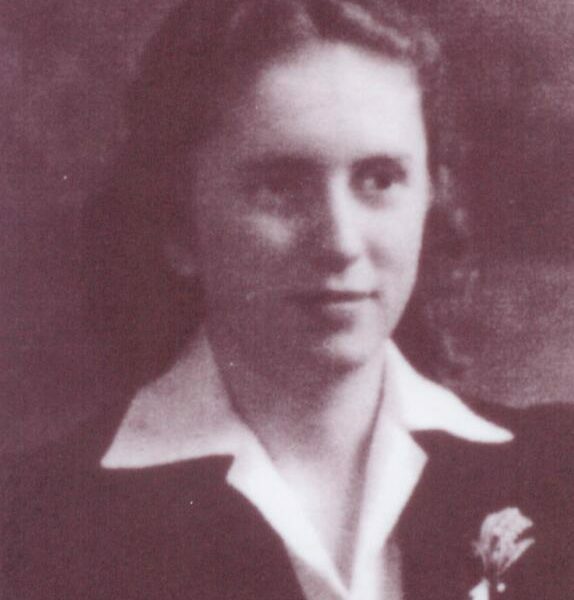 After the family lost their farm in the Depression, the Littlejohns moved to Winnipeg, where Ruth attended the nursing program at Winnipeg General Hospital, graduating in 1936. Her initial attempts to enlist after the outbreak of World War II were unsuccessful, as her position at the hospital had been frozen. After her move to take a job at Vancouver General Hospital, she successfully enlisted with the Royal Canadian Army Medical Corps on June 1, 1942, and was recruited to serve aboard hospital ship no. 46, the Lady Nelson, Canada’s first hospital ship. She was appointed lieutenant November 5, 1943, and transferred from the ship in December 1943 to Nanaimo Military Hospital until June 1944. After D-Day she served with No. 1 Canadian General Hospital at Nijmegen, Holland. Her experiences in the war shaped much of the remainder of her life. From 1947 to 1976, she worked at Shaughnessy Hospital, becoming Director in 1961. She became president of the Nursing Sisters’ Association and on the board of the Veterans’ Memorial Housing Society. 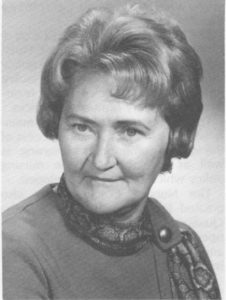 After retirement in 1976, she remained active with a number of organizations, including the DVA pilot project for the Veterans Independence Program, the Veterans Memorial Manor Society and the George Derby Long Term Society. She received the Canada 125th Anniversary Commemorative Medal in 1992. Nomination for the RNABC Memorial Book. “Remembering Yesterday”, RNABC News, September-October, 1990 22 (5), 28. Letter from Joan Moore to Glennis Zilm, November 15, 2001. Hawthorn, Tom, “Florence Nightingale Inspired Nurse,” The Globe and Mail, November 10, 2001. Obituary, The Vancouver Sun, September 15, 2001, p. G6. Article from Greensboro Daily News (June 6, 1918) and graduation photo with accompanying letter from great granddaughter Christine Switzer, May 11, 2011. Documentation in support of McIlraith’s nomination for the RNABC Memorial Book. Information on design of Long Service Award pin (in artifact collection). E-mails, photocopied photographs and other information related to donation of Ruth McIlraith’s material. Jessie MacKenzie was a tireless advocate for the improvement of hospitals and nursing education, and an ardent advocate of women’s suffrage. After obtaining her teaching certificate from the University of Toronto, and a period of study and work in California, she moved to Victoria in 1914 where she became superintendent and head of the training school at the Royal Jubilee Hospital. Her many improvements enhanced the school’s ability to attract students. 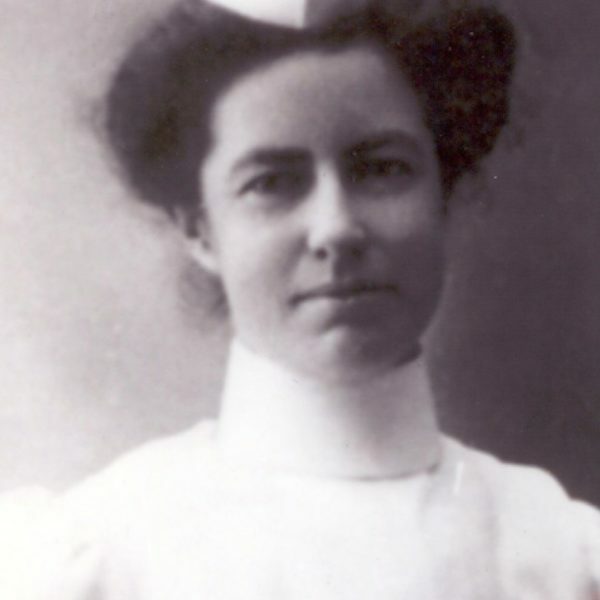 She was the third president of the GNABC – 1919-1921, the precursor of the RNABC, and worked on many committees to improve standards for nursing education. When the hospital became mired in debt, she was made the scapegoat and dismissed from her post in 1927. She remained active with the RJH alumnae. “Ard” was born in Toronto, where she received her BA and a teaching certificate from the University of Toronto. After some years as a Visiting Nurse in Washington and Chicago, she returned to Canada in 1908 to become Chief Superintendent of the Victorian Order of Nurses for Canada. She was also President of the Canadian National Association for Trained Nurses from 1912 to 1914. After two years in consultant positions in the US, she returned to Canada in 1920 to become Public Health Instructor in the new Public Health Program at UBC, teaching in the first university nursing degree program in Canada until her retirement in 1923. Glennis Zilm, notes for speech on MacKenzie, April 9, 1991. Entry prepared by Glennis Zilm for American Nursing: A Biographical Dictionary, July 1, 1998. President’s Address” by MacKenzie, The Canadian Nurse 11 (1914), 561-563. When Marnie left her hometown of Spring Valley, south of Moose Jaw, Saskatchewan, her community presented her with a watch, which she says inspired in her lasting feelings of responsibility. 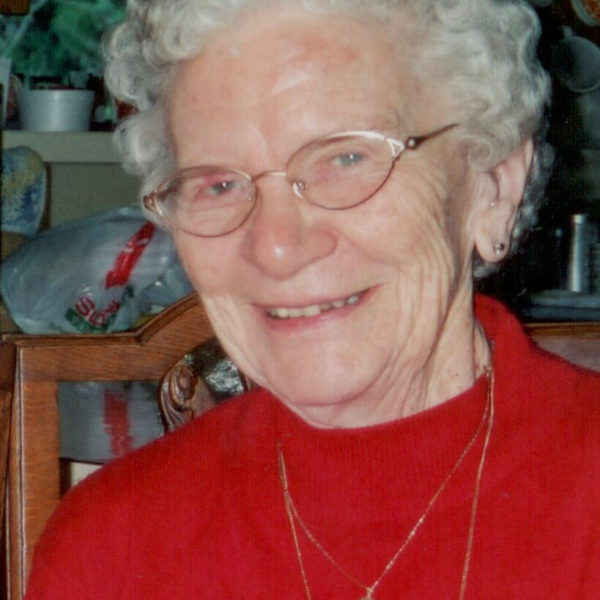 She received her RN from Providence Hospital in Moose Jaw in 1941, and her BSN from McGill University in 1951. 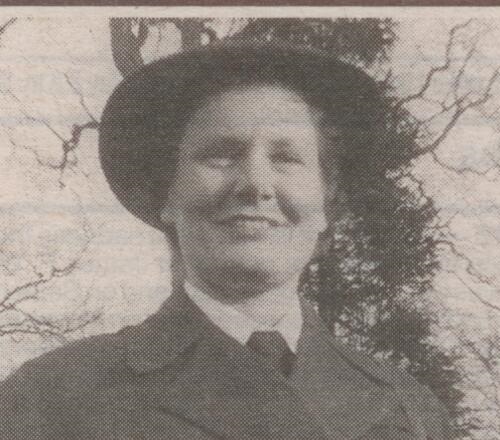 She served in the Royal Canadian Army Medical Corps as a lieutenant in both Canada and England during WW II and subsequently remained active in the militia, retiring with the rank of major in 1965. She instructed in gynecology at Toronto Western Hospital and VGH, where she was Senior Instructor and CPR Coordinator. She also served in administrative positions at Surrey Memorial Hospital. Photograph with retirement notice, VGH News in General, September 1982, p. 8. Sally Butling grew up in the West Kootenays, a member of a cultured and socially active family. 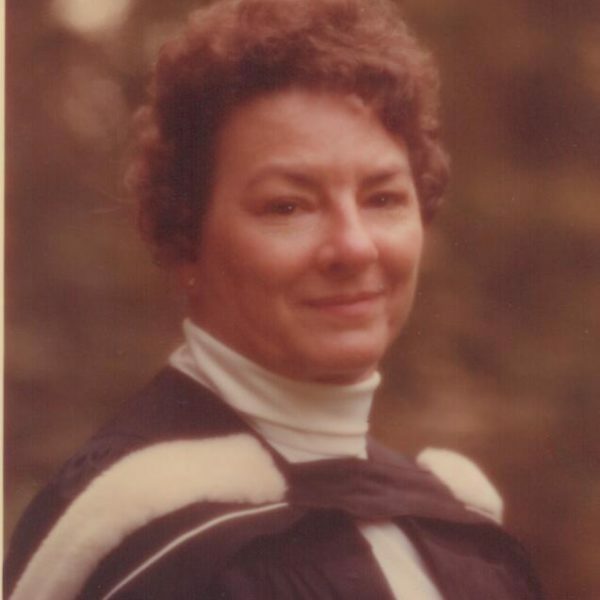 She received a Nursing Diploma from St. Paul’s Hospital, then attended UBC, from which she obtained a Diploma in Public Health Nursing (1968), a BSc (1975) and an MSc (1981). She subsequently worked in a variety of positions, including as a lecturer at UBC and an Instructor at BCIT. She was active with the CRNBC, becoming Education Consultant (1981-1987), Executive Officer, Corporate Services (1988-1992) and Director of Member Development (1992-2000). She recalls being fired after the birth of her first child as a seminal moment in her development. Her international work began with consultancies in Uganda and Ethiopia for the Canadian Nurses Association. She continued with developing nursing and midwifery services in Kosovo and Rwanda and worked to build responsive and accountable health care systems in the Balkans. She also provided assistance to the Providence Hospitals in Vancouver and the Aboriginal Nurses Association of Canada, and re-established the VON in BC. Article with photograph in RNABC News, October 1981, p. 14. Juanita graduated from the Medicine Hat General Hospital in 1953. 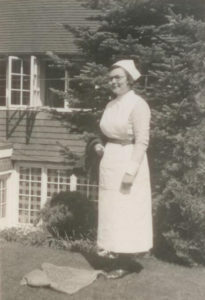 In 1954 she travelled to Powell River for a visit and remained there to nurse. She became a head nurse, and after having her family returned to work with Extended Care. Finally, she spent a short time on the psychiatric unit. Transcription of Interview with Karen Southern January 28, 1989. No recording of this interview has been located. During Debra McPherson’s Presidency of the BCNU, she negotiated a 23.5 percent wage increase for nurses. This was the culmination of a career that began with her graduation from St. Boniface General Hospital School of Nursing in Winnipeg. She worked briefly as a shift supervisor at Munno Yema Hospital for the Zaire American Peace Corps, and established intensive care units at the University Hospital in Edmonton and the UBC Hospital. 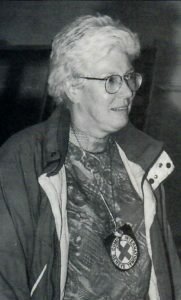 In the early 1980s she became active on regional BCNU committees, becoming Chair of the Vancouver Region BCNU in 1988. 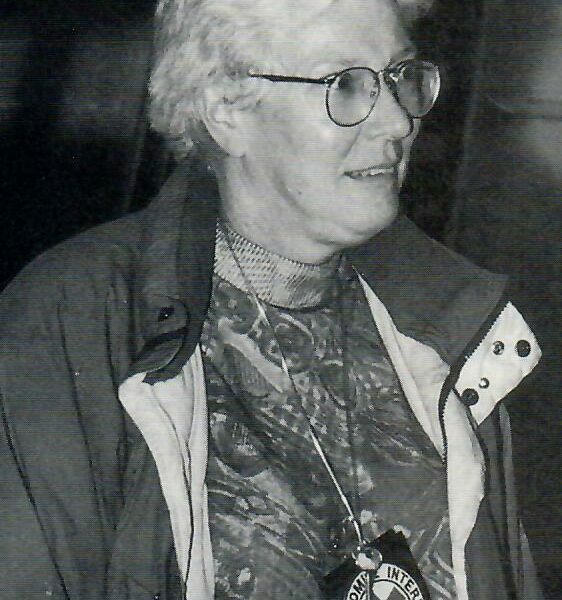 In 1989 she co-led the “No Vote” campaign, a pivotal moment in the history of BCNU. She became President of the BCNU in 1990, and was Regional Chair of the Vancouver South Region from 1994-1999. She was Acting President of the CFNU in 1999-2000, and from 1991-2001 was Secretary-Treasurer/Vice President of CFNU. From 2001-2002 she was President of the BCNU. Jeff Lee, “Leader Takes a Hard Line: Nurses’ McPherson Has no Time for the Politics of Compromise,” Vancouver Sun, May 15, 2001, p. A10. Embattled Nurses’ Union Set for Leadership Election. thetyee.ca/News/2014/02/21. 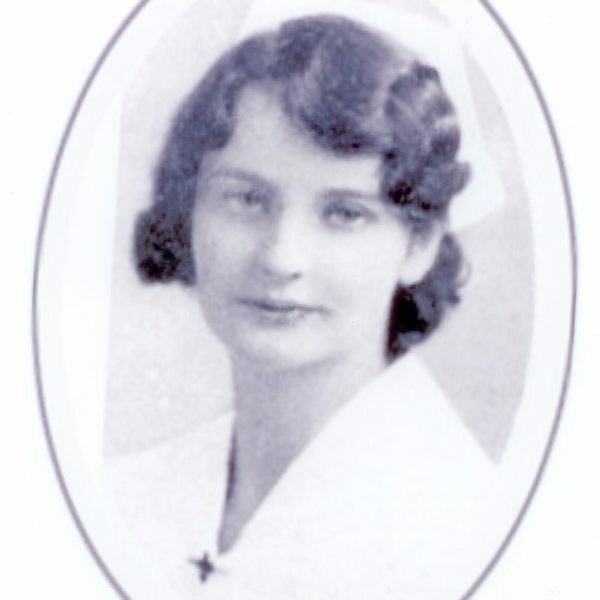 Laura McPherson graduated from the Kelowna General Hospital Training School for Nurses in 1933 and spent much of her career focused on the nursing of TB patients. She worked at Tranquille from 1933-1937 and 1940-1948, the TB Pavilion of the Royal Jubilee Hospital from 1948-1950, VGH Willow Chest from 1951-1954, Shaughnessy from 1958-1960, and Coqualeetza native TB hospital in Chilliwack from 1960 to 1965. She recalls doing much overtime with no remuneration. 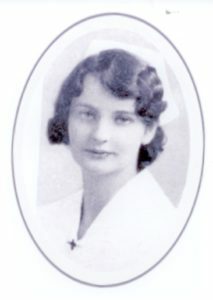 Francis “Frankie” graduated from Vancouver General Hospital School of Nursing in 1935 and UBC School of Nursing in 1936. Following graduation, she became a head nurse at VGH and later science instructor before joining the United Nations Relief and Rehabilitation Agency where she assisted in the care of displaced persons in North Africa and Italy. On her return to BC in 1946 she worked with the Canadian Vocational Program to prepare ex-service personnel for return to civilian life. 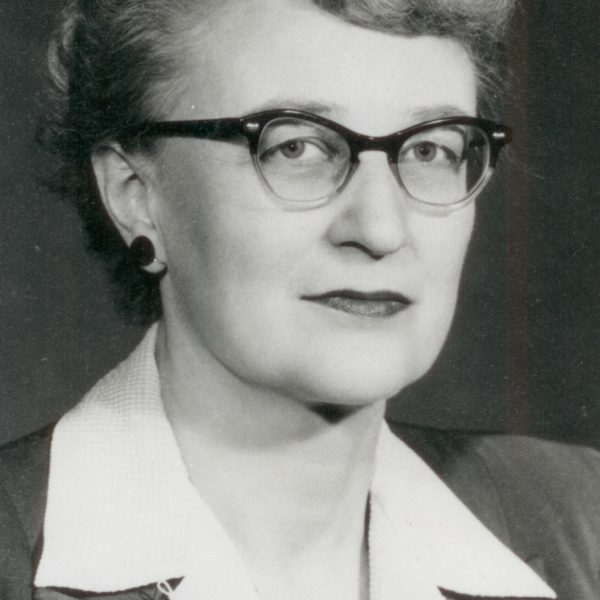 From 1948 to 1952 she was supervisor of instruction at the University of Alberta’s School of Nursing. Subsequently, she was Assistant Secretary for the Canadian Nurses’ Association and Assistant Registrar and Registrar of RNABC. In 1970 she suffered a major stroke which left her dependent on hospital care until her death in 1995. V McQuarrie. “A Refresher Course—What Then?’, The Canadian Nurse (1940), 36 (11), 759-760. 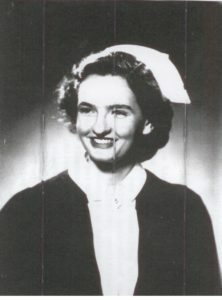 “Nursing Profiles”, The Canadian Nurse (1952), 48 (9), 724. RNABC new assistant registrar, RNABC News, 1957 and 1958. Esther Paulson, “Frances Ulva McQuarrie: 1914-1995,” with timeline. Esther Paulson, Letter to Nursing Staff of the Extended Care Unit of Surrey Memorial Hospital re F. McQuarrie, November 15, 1995. Esther Paulson, handwritten eulogy, June 1995. Letter to E. Paulson from Pat Cutshall, Executive Director of the RNABC, May 25, 1995. 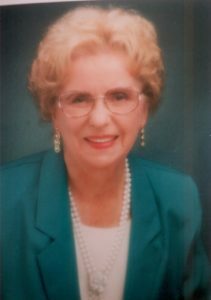 Esther Paulson, “In Memoriam: Frances Ulva McQuarrie 1914-1995”, History of Nursing News (1995), 6 (3), 14-15. Isabel graduated from VGH in 1919 and registered as a nurse in BC in 1920. She spent two years specializing in surgical nursing at the Sacramento Hospital in California before joining the staff of the Royal Inland Hospital in Kamloops, performing major surgery on patients from Tranquille. She joined the staff at the Rotary Clinic in Vancouver and became nurse in charge on the Chest Clinic at VGH; in 1939 she received a Certificate in Public Health Nursing from UBC. In 1938 Miss McVicar was hired to carry out a year of experimental testing in the Lower Fraser Valley for the BC Tuberculosis Society. Her work included overseeing the tuberculin testing on eight thousand children in the Lower Fraser Valley. In 1939-40 she expanded this work to West Vancouver and Powell River as well as New Westminster and the Lower Mainland. “Big Adventure: This Nurse’s Job”, Your Health (1995), 20 (8), 8, 24. 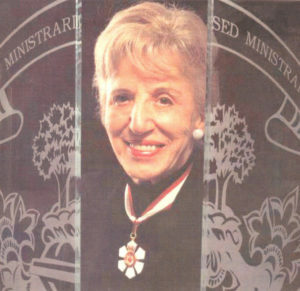 Britain’s Royal College of Nursing cited Dr. Mussallem as “Canada’s most distinguished nurse in her time and generation”. She was born to a pioneer family in Prince Rupert and graduated from VGH School of Nursing in 1937. Educated at McGill University and Columbia, she was the first Canadian nurse to earn a doctoral degree in nursing education. 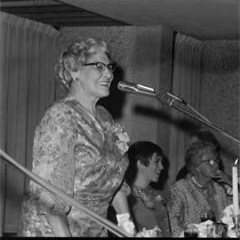 From 1962 to 1981 she was executive director of the Canadian Nurses Association. Among her many awards are honorary doctorates from six Canadian universities and appointment as a Companion of the Order of Canada. During World War II Mussallem served with the Royal Canadian Army Medical Corps. 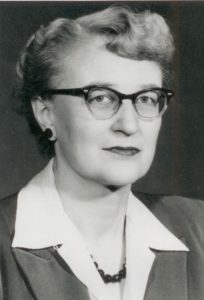 After the war she taught and directed the nursing program at the Vancouver General Hospital School of Nursing and directed the Pilot Project for Evaluation of Schools of Nursing in Canada which led to major reforms in nursing education. 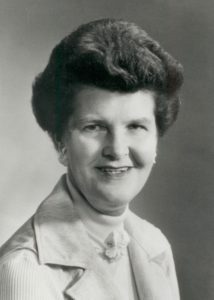 Some of her major publications were crucial in influencing the transfer of nursing education to the mainstream of general post-secondary education. She was active on over thirty international assignments and missions to improve nursing in third world countries, and served as Board or Committee member or adviser to many national and international organizations. She was a member of the Economic Council of Canada from 1971 to 1980. “Despite Wind and Rain,”, October 14, 2002. Jessica Rose, “Tradition May Be Queen’s Biggest Asset”, Ottawa Citizen, October 17, 2002, p. A17. “News: Canadians Meet Royalty at the Summit”, The Canadian Nurse, September 1972, p. 7. James E. Mattison, “Still Opening Doors”, Reflections on Nursing Leadership, 29 (2),Cover + pp 10-15. Louise McKay, “She Has Big Job at VGH But Sneaks Back to Wards”, TheVancouver Sun, August 8, 1951, p. 20. Citation for Mussallem’s receipt of honorary doctorate, June 6, 1998. 12.”Canada Awards Go to 35”, 1969. “CNF Scholars Celebrate Foundation’s 10th Year”, The Canadian Nurse, September 1972, p. 8. Helen Mussallem, “Remembering Yesterday”, RNABC News, May-June 1989, p.27. Invitation, with photographs, to Mussallem’s 90th birthday party, January 8, 2005. “Dr. Helen K. Mussallem Establishes Annual Fellowship”, Foundation Focus, Fall2003, p. 1. Lifetime Achievement Award for Nursing Excellence, 2002. “Significant Archival Collection”, the Canadian Nurse, November 1993. UBC Spring Congregation for the Conferring of Degrees, May 27, 1994. Letter to Sheila Zerr, December 20, 1996. Invitation to tea, May 25, 1994. Correspondence with Sheila Zerr. – 1989-1996. “Mussallem Honored for Heraldic Work”, The Canadian Nurse (February 2007), p.5.“Still Opening Doors,” Reflections on Nursing Leadership, 29, No. 2 (2003), pp. 10-15. Obituaries: “A Decorated, Celebrated, Altruistic Activist,” The Globe and Mail, November 24, 2012, p. S15. Obituary by Ethel Warbinek, BC History of Nursing Society (Spring 2013), pp. 1, 3. Helen K.Mussallem – Canada’s Most Decorated Nurse – January 7, 2015-November 9, 2012. VGH School of Nursing Alumnae Association Newsletter, Spring 2013, 14-15. Kathy Murphy was born in Port Alberni, British Columbia, and graduated from VGH in 1965 and received a Bachelor of Nursing from McGill in 1968. 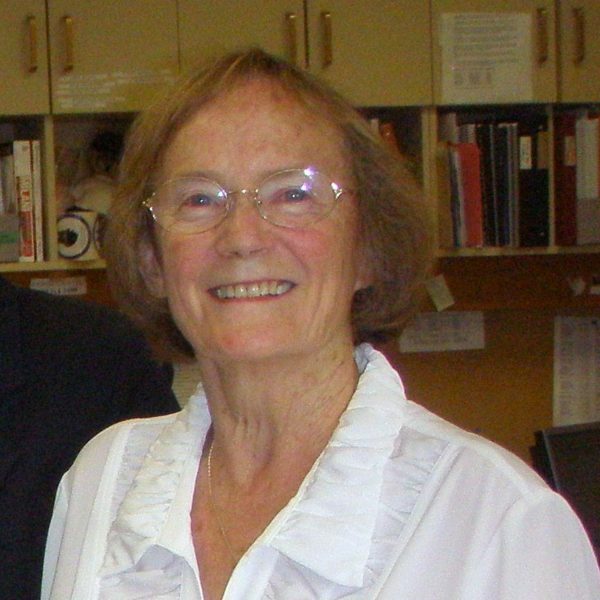 After graduating from VGH, she worked there in Surgical Nursing and in 1967 at the Montreal General Hospital. She took a number of courses at UBC and received a Master of Health Sciences from McMaster University in 1978. Kathy worked at St. Paul’s as a surgical instructor and clinical coordinator, and at Richmond General from 1979-1989, as Director of Nursing. She was also a lobbyist for RNABC on the Royal Commission on Health Care in 1990. Kathy married Gordon Murphy in 1982 and was widowed in 1995. Her many professional and community involvements include the RNABC Chapter and Board, President of the Nurse Administrators’ Association of BC, Board member and Capital Campaign Chair for the RNFBC, VGH School of Nursing Alumnae Association, University Women’s Club of Vancouver, and St. Andrews Wesley United Church. In 1990 she received the RNABC Award of Excellence in Nurse Administration. Andrea Maitland, “Nursing Today Is More than Bedpans and Bandages”, The Vancouver Sun, September 9, 1978, p. C8. See also Evelyn Mallory’s biographical file. Although born on Salt Spring Island BC, in 1942, Rose and her family were interned as Japanese nationals during World War II, and removed to New Denver in BC’s West Kootenays and later to Alberta . In 1954, the family returned to Salt Spring where they faced continuing racism. However, the family survived and established a successful market business, growing vegetables and berries. 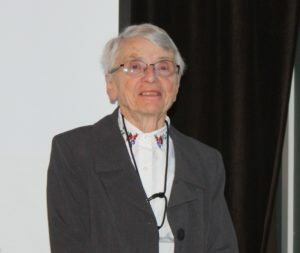 Rose graduated from VGH School of Nursing in 1959 and obtained a BSN from UBC and Masters’ of Science degrees from McGill University and Boston University. She had a long career at the UBC School of Nursing as an Associate Professor, where she was a highly respected and a successful career as Vice President of Nursing at UBC Health Sciences Centre. In 1994, she became RNABC’s first Consumer Relations Representative. On retirement, Rose returned to Salt Spring. In 2006 fire destroyed their home, with the loss of many irreplaceable photographs and memorabilia. 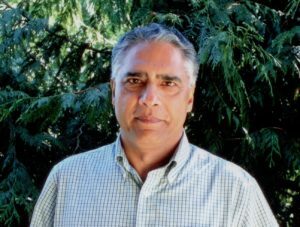 In 2009 they donated a half acre of their land on Salt Spring Island, valued at $1.2 million, to build the 27-unit Murakami Gardens, Salt Springs’ first affordable housing project. Shortly after, she and her brother had the privilege of meeting with Japan’s Emperor Akhito and Empress Michiko during their historic visit to BC. Transcription of oral history interview, November 18, 1993. “Nurses’ Association Appoints Consumer Relations Representative”, RNABC, February 18, 1994. University hospital memo, January 15, 1993. “Rose Murakami: Making a Difference”, RNABC RepsNews, March-April 1995, pp. 1-2. Rose Murakami article published in HoH Society News, October 2009. Katherine Dedyna, “Royal Rapport”, Victoria Times-Colonist, July 12, 2009. Lena Sin, “Royal Audience in Victoria Threatened by Sudden Illness,” The Province July 9, 2009, p. A6. Natalie North, “Duo Has a Brush with Royalty”, Gulf Islands Driftwood, July 15, 2009, pp. A1, A2. Rose Murakami. Ganbaru: the Murakami Family on Salt Spring Island. The Japanese Garden Society of Salt Spring Island. 2005. John Edo Greenway. Kimiko Murakami: A Picture of Strength. Salt Spring Today,2005, 3-5. Brennan Clarke. Saltspring siblings give the gift of homes. The Globe and Mail. Mar.17, 2009. Ruth Morrison was a newspaper reporter in Halifax before entering the Toronto General Hospital; School of Nursing. After a number of jobs in Saskatchewan and the Maritimes, she took her BSN and MPH in nursing at the University of Minnesota. In her subsequent position at UBC, she played a major role in promoting public health nursing in BC by introducing public health nursing into each year of the baccalaureate program. This helped meet the need for more qualified public health nurses, especially in the remoter regions of the province. Ruth was energetically active on both national and provincial health committees. 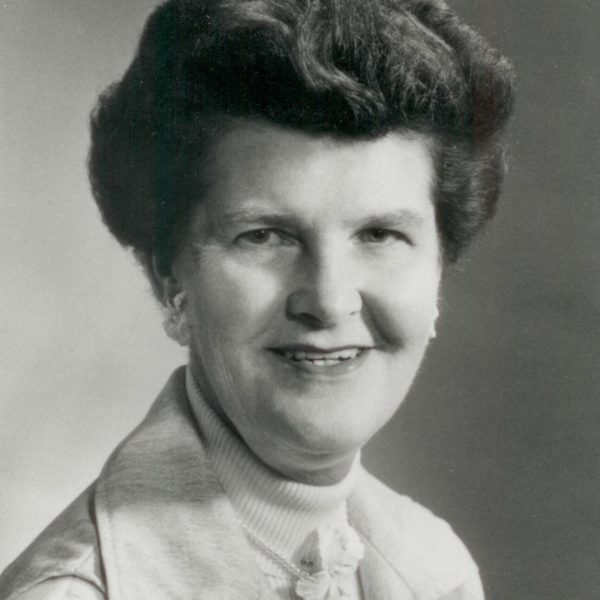 She was president of the Canadian Association of University Schools of Nursing in the 1950s, and a member of the World Health Organization’s Expert Panel on Nursing in 1951. Nomination for CNA Memorial Book. “Interesting People”, The Canadian Nurse (1946), 12 (8), 671-672. “Providing Opportunities for Dynamic Learning ”The Canadian Nurse (1953), 49, (2) p113. Kari Moore grew up on a farm southwest of Edmonton. 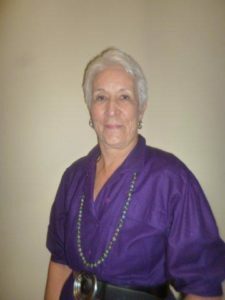 She took her nursing training at the University of Alberta Hospital, and years later, in 1981, received her BA from SFU. She worked at a number of different hospitals, mostly in British Columbia, with time out to raise a family. She states that she especially enjoyed work in the OR. Among her many other hats were terms as Surrey Councillor and President of the Surrey Arts Society. In her later life she reconnected with her Ukrainian roots, and became an active fundraiser and ardent advocate on Ukrainian issues, especially the internment of Ukrainians as enemy aliens during WW I. In 2004 she was awarded the Taras Shevchenko medal by the national Canadian Ukrainian Congress. A poem of hers commemorating the great famine in the Ukraine imposed by Stalin was placed on a plaque on a cairn at the National Memorial Park in Dauphin, Manitoba. Biographical Information Profile with covering letters. Includes autobiographical sketch and poems by Kari Moore and Olecia Maryka. Flyer and brochure for 8th Annual Valued Elder Recognition Awards at the Salvation Army Citadel in Victoria. Descoteau, Don, “Christmas Celebrated Today,” Victoria Times Colonist, January 7, 2005, p. A5. Bell, Jeff, “Cultivating Pride in Her Ukranian Roots,” Victoria Times Colonist, October 15, 2007, p. B1. Notice of award of the Taras Shevchenko Medal to Kari Moore, with CV, biography, and two poems by Moore. Letter from Kari Moore to Glennis Zilm, August 1, 2007. Maria Sorenson was born in Hakkebo, Norway; hard times led her family to immigrate to Prince Rupert so her father could continue life as a fisherman. She completed nursing at VGH in 1944 where she went to work on the children’s ward. 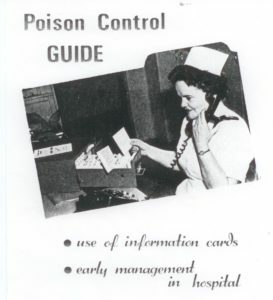 Working as superintendent of TB control at Willow Chest led her in 1949 to move to the West Coast Sanatorium in Newfoundland where she became superintendent of nurses. 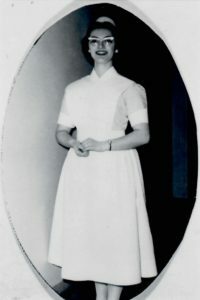 She returned to Vancouver to work at the children’s hospital and get married, but retired from nursing in the late 1950s. In 1961 she and her husband moved to Sechelt, where her active community volunteer involvement earned her the Good Citizen of Sechelt award in 1978. She died of cancer in 2003. 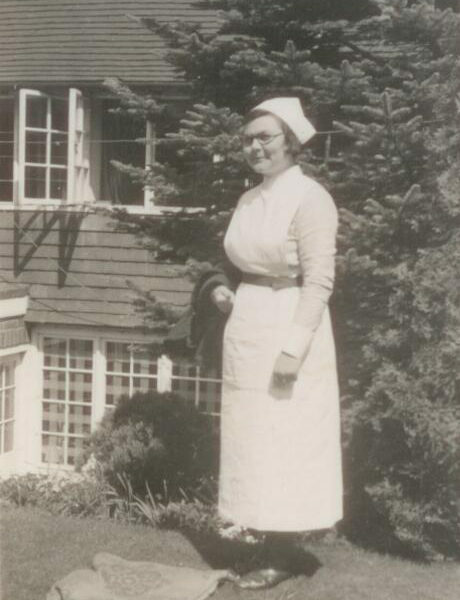 Naomi Allsebrook grew up in the West Kootenays and completed nursing at VGH (1950) and her BScN at UBC (1951). From 1951 to 1953 she was Head Nurse at the TB Willow Chest Centre. After her marriage she moved frequently, and did little nursing. She worked extensively with Girl Guides, and became increasingly involved with East Kootenay local history. From 1968 to 1974 she worked to build and organize the Golden Museum, becoming curator there from 1974 to 1983. Naomi brought to light nursing history from outside the Lower Mainland and Capital District. She published two books of local history, and was winner of the British Columbia Heritage Award in 1999. She was an active volunteer with Fort Steele, and from 2003 she has been Secretary of the Fort Steele Cemetery Society. In 2010 she was awarded an honorary life membership in the BC History of Nursing Society. “Seeking Stories of Pioneer Nurses”, BC Historical News 35, (2), 40. Nomination for Honorary Life Membership, BC History of Nursing Society, April 8, 2010. 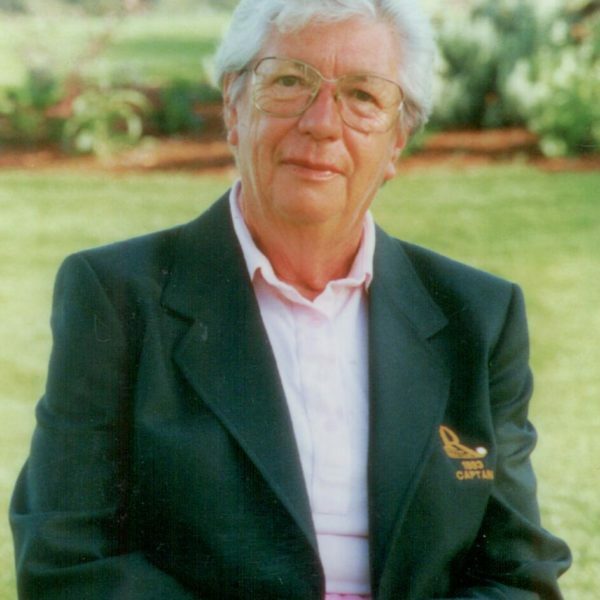 Honorary Life Membership awarded to Naomi Allsebrook Miller, 2010. 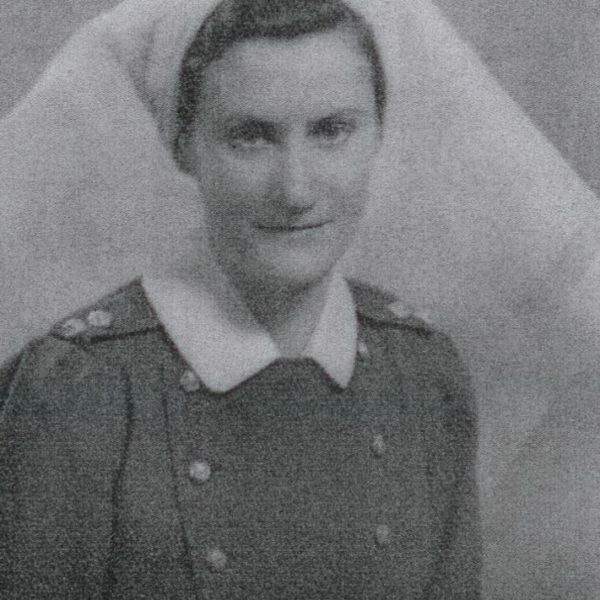 After her training at the Royal Columbian Hospital in New Westminster, Jessie Lee joined the Royal Canadian Army Medical Corps and nursed in England. She regarded this work as “the greatest privilege for me”. “The friendships formed a camaraderie over the years [that] has enriched my life greatly”. While she took a year’s training in obstetrical nursing at McGill after World War II, marriage and living far from any hospitals prevented her from working as a nurse. She has volunteered with hospital auxiliaries in Abbotsford and the Hospice Society, and also visited in hospitals and care homes. “Canada’s Nursing Sister: Jessie Middleton on Answering the Call of Duty,” Friday Newsmagazine, November 2007. Cover + pp. 8, 9. “Healing Hands and a Heavy Heart,” Langley Times, November 6, 2013. Katharyn May received her BSN from Duke University, and her MS and DNSc from the University of California, San Francisco. Her varied career includes teaching at the University of California from 1979 to 1987 and Vanderbilt University in Nashville from 1987 to 1994. 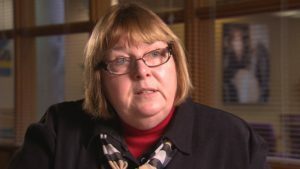 She was Director of the School of Nursing at UBC from 1994-2000. She left to take the position of Dean of the School of Nursing at Madison, Wisconsin, from which she retired in 2015. Her publications include Maternal and Neonatal Nursing, and two editions of Comprehensive Maternity Nursing. She has also published numerous articles and chapters in books, as well as presenting papers at conferences. Much of her research relates to issues surrounding childbirth. Kathryn Matusiak’s deeply felt Christian beliefs infuse her nursing. After receiving her BSN from Queens University in 1976, she worked as a staff nurse at Greenland Hospital in Auckland, New Zealand and Children’s Hospital in Ottawa. From 1979 to 1996 she worked as a Community Health Nurse in prevention programs. She has found that Public Health Nursing changed from the very wide general prevention focus in the 1980s to a specialized acute care focus. She took a Parish Nursing Diploma from Trinity Western in 2000, and Lay Volunteer Chaplain Training in 2002. From 2000 she has been the parish nurse for the First United Church, in White Rock BC, responsible for pastoral care, including hospital and home visiting, coordinating the prayer tree and the Seniors Tea, and taking part in funerals with support for family members. She finds that her training and work has deepened her “understanding of God’s presence in the healing process of body, mind and spirit”. Jean Matheson epitomizes the dedicated career nurse of the early twentieth century, especially with her work caring for tuberculosis patients. She graduated from Winnipeg General Hospital in 1899. From 1901 to 1906 she was Matron of the Royal Inland Hospital in Kamloops, and in 1907 became the first matron of the new tuberculosis Sanatorium at Tranquille, which she helped make one of the premier provincial tuberculosis hospitals in Canada. She signed on as a Nursing Sister during World War I with the No. 5 Canadian General Hospital at Salonika (Greece), and later England. For her wartime service she received the Mons Medal, the Victory Medal, the Royal Red Cross and the King George Jubilee Medal. 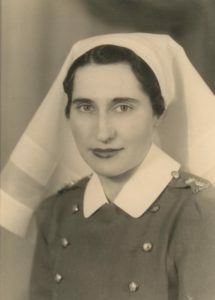 She became Matron of Shaughnessy Military Hospital after the war; many of the returning veterans suffered from tuberculosis and respiratory disorders related to gas warfare. She worked there until her retirement in 1938. In 1946 a new building at Shaughnessy, built to house veterans returning from WW II with tuberculosis, was named the Jean Matheson Pavilion in her honour. Information related to Jean Matheson and the former Jean Matheson pavilion, Shaughnessy site. Compiled by Glennis Zilm, ca. 2007. Information for Parks Canada Sites and Monuments Board relating to the nomination of Jean Matheson as a person of national historic significance. Compiled by Glennis Zilm, ca. 2007. 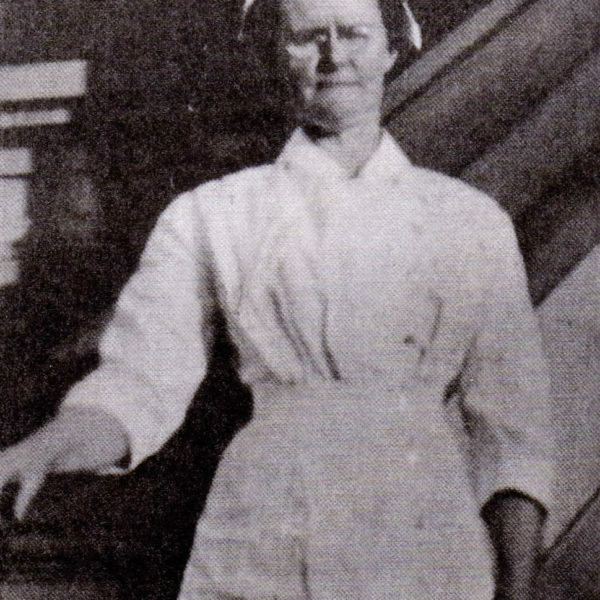 “Jean Matheson” from Glennis Zilm and Ethel Warbinek, “TB Nurses in BC 1895-1960: A Biographical Dictionary”: White Rock, 2006. MATHESON .The Canadian Nurse. (1936), 34, (6).p.314. Application for Examination and Certificate as a Registered Nurse. – 1921. Photocopied. Letter to Glennis Zilm (2009) and excerpts from minutes of the Historic Sites and Monuments Board of Canada (2008). Correspondence concerning the National Historic Board’s decision not to recommend Jean Matheson as a person of national historic significance. Obituary from The Canadian Nurse, 34, No. 6 (1938). 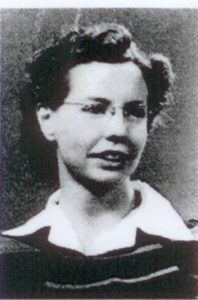 Agnes Wallace was born and grew up in Scotland, where she received her training at Glasgow Royal Infirmary School of Nursing from 1955 to 1958. She also took a six-month course in midwifery. She immigrated to Canada where she was registered in Ontario in 1961 and in BC in 1969. Balancing short term positions in gerontological nursing, while raising her three children, Nan later became a Head Nurse at Shaughnessy’s Brock Fahrni Pavilion from 1982 to 1986. She was also Head Nurse at the Lions Gate Hospital (Evergreen House–Extended Care) from 1987 to 1997. She regarded helping residents and family adjusting to extended care as a highlight of her career, and spent much of her time advocating for improved staffing levels. Nan was actively involved in the RNABC and CNA Gerontological Professional Practice Groups and received the RNABC Award of Excellence in Nursing Practice. Following Ethel Johns and Mabel Gray, Evelyn Mallory was the third director of UBC’s School of Nursing. 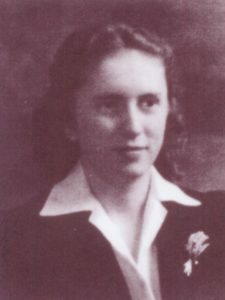 She graduated from Winnipeg General in 1925, and obtained a degree in science in 1930, later followed by a Master of Arts degree in 1950. She became Registrar and Educational Advisor to Schools of Nursing for RNABC in 1941, and in 1943 was offered the position of associate professor and head of the nursing department at UBC, a position she held until her retirement in 1967. Under her direction UBC separated from the Vancouver General Hospital in 1958 to become an independent school. In 1968 she was successful in implementing a Masters’ degree in nursing. She wrote the first extensive history of the UBC School of Nursing. 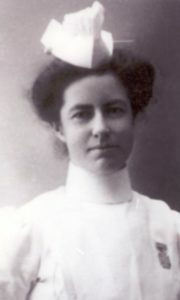 Evelyn chaired a number of committees, on which she became known for her intelligence and extensive knowledge of nursing. She served as both second and first vice-president of CNA, and as president of RNABC. After her retirement she moved to Vernon to be near her family. The Harriet Evelyn Mallory Memorial Scholarship was established in recognition of her remarkable contribution to nursing. UBC evaluation of faculty and staff, biographical notes, data for the academic staff records, academic and administrative executive personnel, and The Canadian Nurse journal biographical file. Evelyn Mallory, “Ward Aides and Helpers”, The Canadian Nurse (1942), 36 (9), 715- 717. Evelyn Mallory, “The Preparation of Nursing Personnel for the Care of the Mentally Ill”, The Canadian Nurse (1954), 50 (11), 869-878. Letter from Mallory to E.B. Harkness in thanks for a retirement reception, May 29, 1967. Letter from M. Robinson to the President, Executive Director and Board of Directors of the RNABC, July 20, 1993. Notes on Evelyn Mallory by Esther Paulson, February 1993. Evelyn Mallory: Biographical information from niece Georgie Irvine. 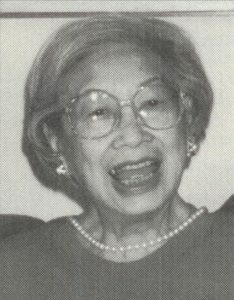 Letters from Rose Murakami concerning establishment of Harriet Evelyn Mallory Memorial Scholarship, August 5 and 9, 1993. Rose Murakami, “Mallory Scholarship fund set up”, UBC Chronicle, 1994. RNABC Annual Meeting, April 22-23, 1949. Letter from Frances Howard to Mallory re Approved Schools of Nursing in Canada, February 13, 1961. Reply from Mallory, February 17, 1961. Letter from Gertrude Hall to Mallory re correct title and the relationship of the School of Nursing to the University, March 8, 1951. Reply from Mallory, March 10, 1951. Letter from Mallory with attachments to Dr. C.E. Dolman, Head, Department of Nursing and Health, UBC, re Kellogg Fellowship, July 7 1949. Nomination – RNABC Memorial Book, 1997. In Memoriam, UBC Chronicle, n.d.
“Manitoba Association of Registered Nurses Elects Miss Evelyn Mallory Head”, April 17, 1939. Letter [from Ruth Morrisone?] to President Dr. N.A.M. MacKenzie, January 9, 1951. Photographs of Evelyn Mallory: Portrait courtesy of UBC Library Special Collections (2); in classroom (2); at her office desk; with students Barbara Blackwood and Lauree Larsen at open house in 1955 (2). Also known as “North” (last name). Margaret was born in Toronto and raised on a ranch in the East Kootenays. She attended the VGH School of Nursing, from which she graduated in 1933. 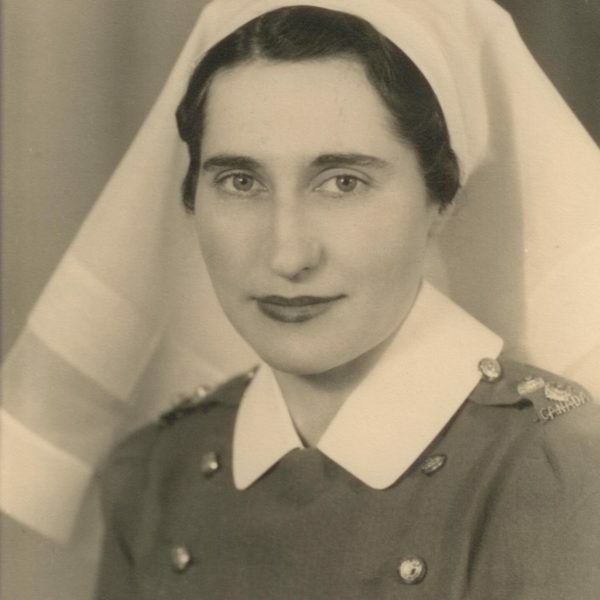 After two years spent working in Port Alice, she joined the Royal Canadian Army Medical Corps in 1941 and nursed in military hospitals in England, North Africa and Italy. She was one of the first nurses to administer penicillin, which she recalls as ”brown coloured and it smelled a bit like horse manure”. After the war she worked at the Vancouver Military Hospital, and in Montreal and Hawaii. 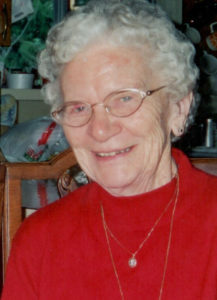 She lived briefly in Wells, where she met her husband, and in Quesnel, before they bought a home in Ladner in 1957. With her husband she established and operated three long-term care nursing homes in the Lower Mainland. After her husband died, she moved to White Rock, where she married Mainwaring, who died six months later. In her retirement she curled, lawn bowled, attended dinner dances and enjoyed the occasional glass of sherry. She is a loyal member of the VGH SON Alumnae and attended annual lunches until 2014. She continues to live in her apartment with assistance. Amy Reid, “Happy 100th this Weekend”, The Source (South Surrey), February 1, 2011. “Still Laughing at 102,” Peace Arch News, February26, 2013, pp. 16-17. Sarah Massah, “More than a Century Full of Memories”, Peace Arch News, February 12, 2015, p. 11. 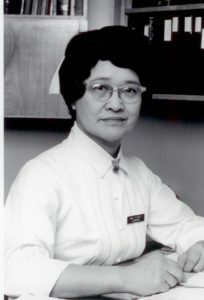 Lillian Lum graduated from VGH in 1939 and ran the Venereal Disease Clinic at the Royal Jubilee Hospital in Victoria from 1941 to 1965. She took Public Health Nursing at UBC in 1966 and went on to work at the Saanich Health Department until her retirement in 1980. She was active in the Girl Guide and Boy Scout movements and in many sports. She also travelled extensively, both locally and internationally. Marjory graduated from St Paul’s Hospital School of Nursing in 1926 and married in 1929. She resumed her nursing career in 1948, when the Victorian Order of Nurses was first organized in Richmond. Marjorie started making rounds for the VON in the community and worked either full or part time until her retirement in 1964. She recalls experiences she had in this work from then until 1964 as “the best and happiest in my life”. 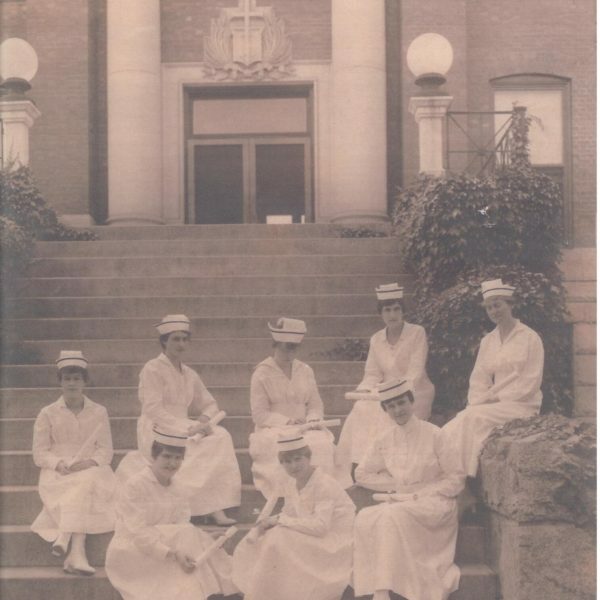 “Recollections of the Early Days of the Victorian Order of Nurses, Richmond, British Columbia”. 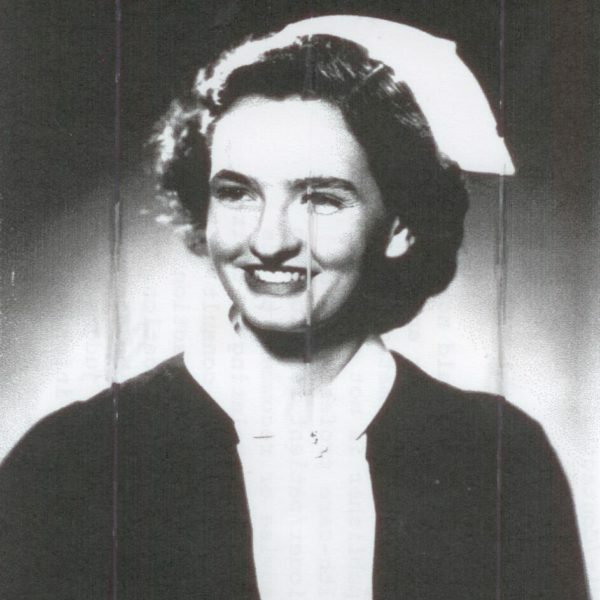 Dorothy Logan was born in New Brunswick, but her family moved to Vancouver, where Dorothy enrolled in the Nursing Program at UBC, graduating from VGH in 1949 and from UBC in 1950. Subsequently, she returned to teach at St. John General Hospital in New Brunswick. In 1956 she married Gordon Logan, and returned to Vancouver to teach at Vancouver General Hospital. 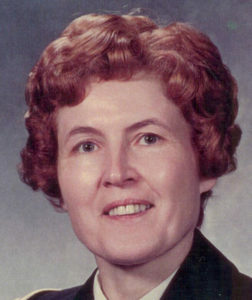 She became the Director of Nursing in 1973, a position she held until her retirement in 1986. 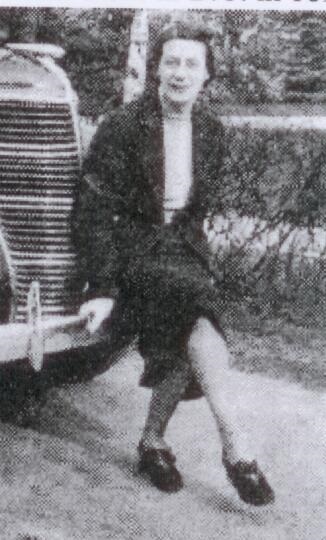 Dorothy was active on many committees, including those related to alumnae and scholarship matters. Her awards include a Life Membership in the VGH School of Nursing Alumnae Association, an Honorary Member of the RNABC, and the UBC Nursing Division Award of Distinction. Her integrity and compassion were widely admired; she served as a mentor and role model for many. Nomination package for the RNABC Memorial Book. Notes on Dorothy Logan by Shelagh Wheeler Smith. Letter from Inge Schamborzki, V.P. Nursing, VGH, April 12, 1989. Overview of Dorothy Logan’s professional career. 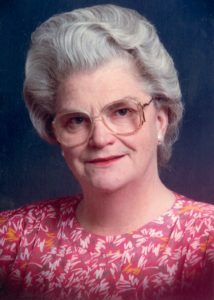 “In Memoriam: Dorothy Jean Logan,” Vancouver General Hospital School of Nursing Alumnae Association Newsletter, Spring 1995, pp. 1-2. 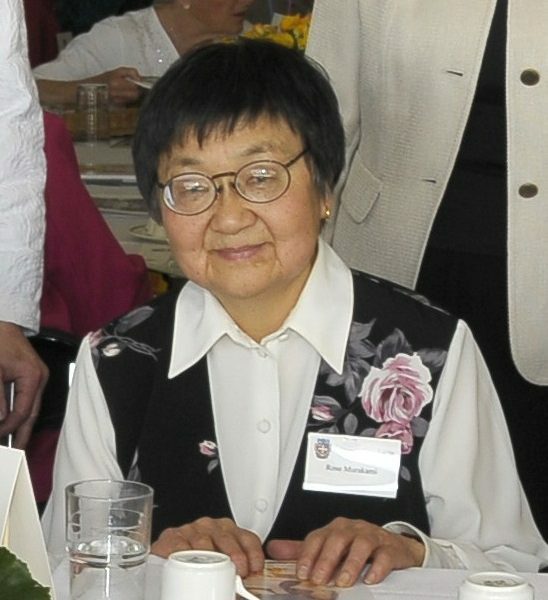 Clara was born in Revelstoke BC, and in 1939, the third student of Chinese origin to enter VGH; she graduated in 1941, at the top of her class and came first in the provincial RN examinations. 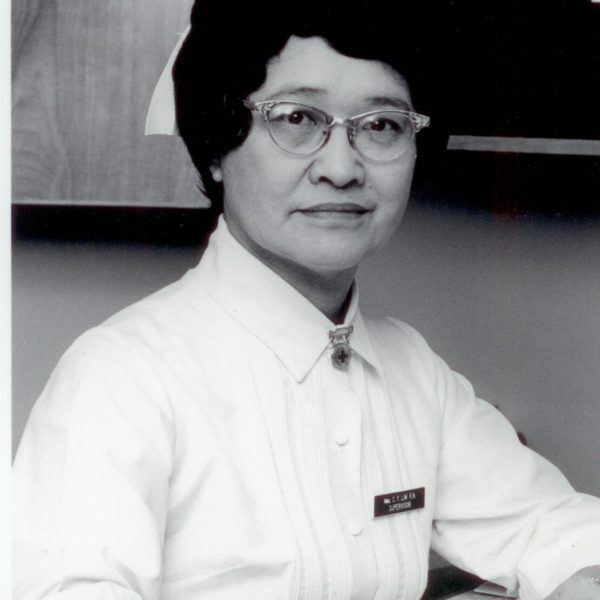 Her older sister graduated from the Royal Columbian Hospital School of Nursing and was the first Chinese nurse to graduate from a BC School of Nursing. 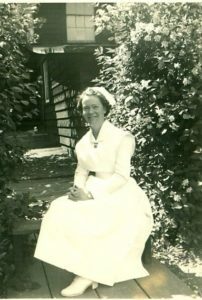 Clara became supervisor of the Private Ward Pavilion at VGH, and sat on the committee planning Centennial Pavilion. She was put in charge of Medical-Surgical and Emergency nursing and was instrumental in opening the Intensive Care and Coronary units, the first in BC. Clara was a member of the Board of Trustees of the Richmond Lions Manor, Governor of BC Addiction Research & Rehabilitation Association and member of the Board of RNABC foundation. She was recognized for her outstanding contributions to the Chinese Benevolent Association. Her many awards have included the Queen’s 25th Anniversary Commemorative Medal, the Order of Canada and the Governor General’s Medal. She loved dancing and playing mahjong. Nomination for RNABC Memorial Book. 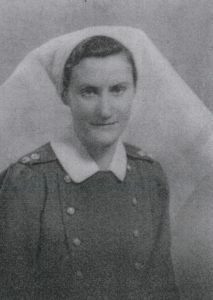 Mary Lewis graduated from the Royal Jubilee Hospital in Victoria in 1950, and worked there until 1976 as general duty and then head nurse in the Emergency Dept. A highlight of her career was working as a hostess for the first annual emergency care seminar for nurses. She has been an active member of the alumnae since graduation, and has also volunteered with the Meals on Wheels program. Chris received his Nursing Diploma from Vancouver City College in 1972, his Bachelor of Nursing from Dalhousie in 1979, and his Masters’ of Education from UBC in 1984. 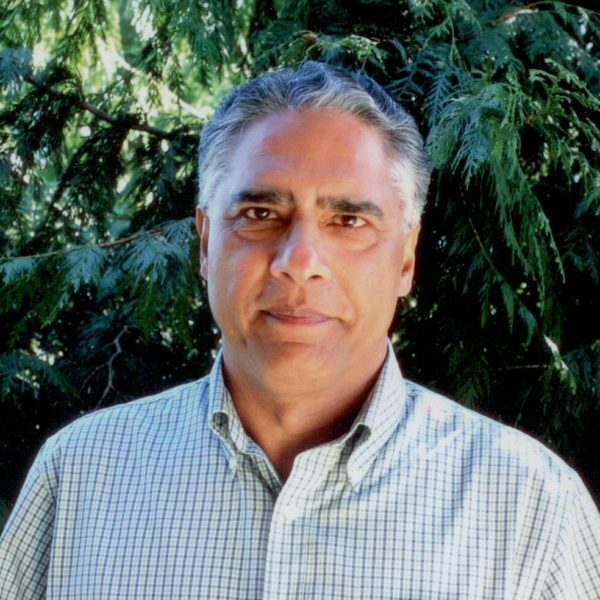 He has worked extensively with First Nations people, planning, implementing and evaluating a broad range of community health services. Much of this work has been on the West Coast, but he has also provided planning, coordination, and facilitation of formal nursing clinical education and professional development for nurses practicing in Alberta. Edith Lees received her RN from Vegreville General Hospital in Alberta, a BSc from Incarnate Word College in Texas, and an MSc from Russell Sage College in New York. During and after World War II she served as a military nurse; from 1957 to 1977 she was instructor, supervisor, chief nurse, and educational co-ordinator for the US Army Corps. Along with the editing and publication of 3 books on The Military Nurses of Canada, she regards her military service as the highlight of her nursing career. Pascoe, Robin “Success Story: Mildred’s Mission”, The Canadian Nurse (1993), p.60. Browne, Alex, “Book Tells Memories of Canadian Nurses,” The Peace Arch News, August 12, 1995, p. 29. Role, Nancy, “Making a Difference During your Retirement,” Trail Times, October 1993. Born in England, Nancy arrived in Canada at the age of fourteen months. 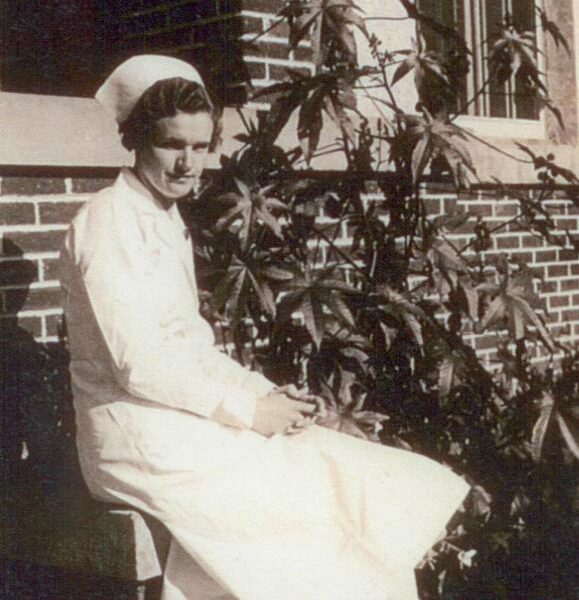 After graduating in nursing from VGH in 1932, she took further training in England in midwifery and pediatric care. During WW II she joined the South African Military Nursing Service, serving in both South Africa and Italy. In 1946 she received a diploma in Public Health and worked in that field for the rest of her career. 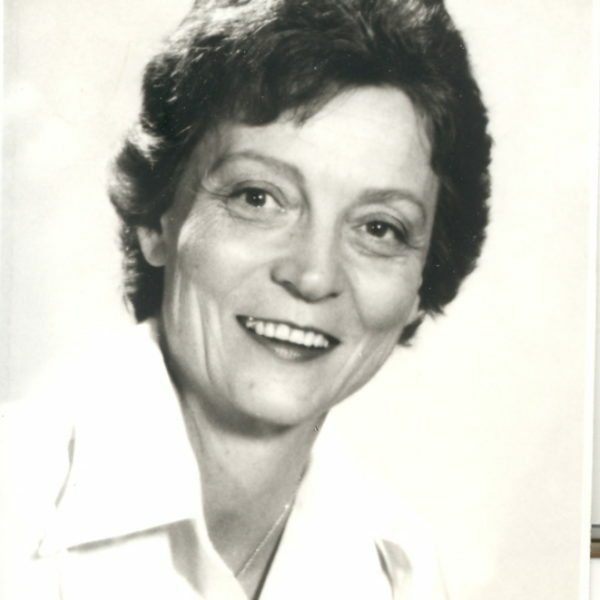 She also received a Bachelor of Nursing from McGill in 1960 and held a number of supervisory public health positions, the last being Director of Nursing for Greater Victoria. She loved to travel, and was an active volunteer. Two photographs: WW II Nursing Sister, and probably during her 90s. Eleanor Lawson is known as a pioneer of health education in BC, graduating from the Royal Jubilee Hospital in 1946. 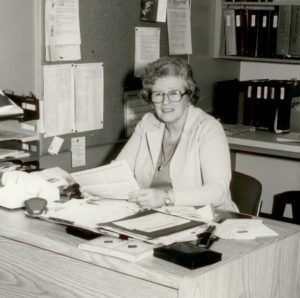 After a number of positions, mostly in BC, she commenced work at Lions Gate Hospital in 1961, became Director of Education Services until her retirement in 1988. In 1966 she spearheaded the first centralized hospital education department in BC, and advocated the importance of learning and training. “People,” British Columbia Health Education Association, BCHEA Newsletter. Cutshall, Patricia, “Inservice Role.” On in-service education, RNABC News. Training and Development Society of British Columbia Certificate, June 2, 1988. Jessie graduated from VGH in 1941, and later received a BSc from Simmons College in Boston. In 1945 she went as to Mexico a missionary nurse, where she assisted in the opening and operations of a school for Mexican women to be trained as nurses. She spent seventeen years there, often travelling by burro to assist poor Mexican women in giving birth. She also spent two years in Haiti, but most of her latter life was spent nursing in Vancouver. She travelled extensively and contributed to many charitable organizations. Mann, Alan, Memorial service speech, December 12, 1992. Hilda graduated From St. Paul’s in 1945. She was assigned to the St. Paul’s premature nursery ward, and was one of the first nurses from St. Paul’s to accompany airlift rescues by the RCAF in remote areas of BC. She recalls the work, though often hindered by primitive conditions, as immensely satisfying. Leon-Manlangit, Patrisha de, “A Lifetime of Special Deliveries,” Burnaby Now, February 27, 2002. Geraldine was born in Thunder Bay, where she graduated from McKellar General Hospital School of Nursing. 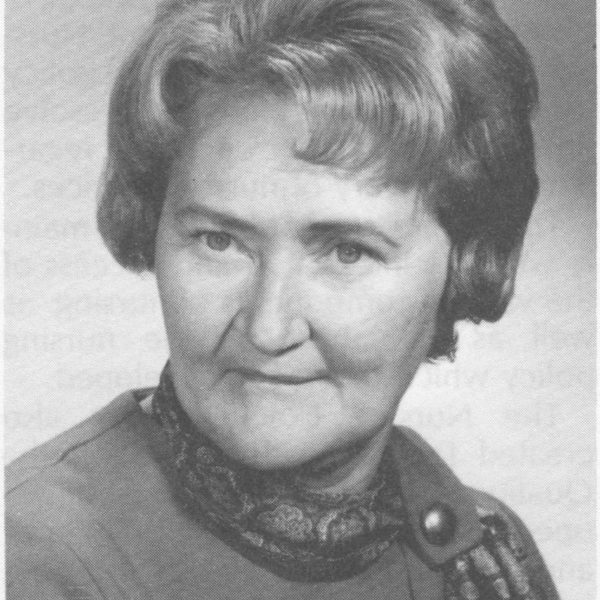 She was science instructor at this school for two years, then later at the Kamloops RIH School of Nursing, becoming Director of Nursing Education from 1960 to 1974. She became Planning Director in 1975, and worked in administration until her retirement in 1991. 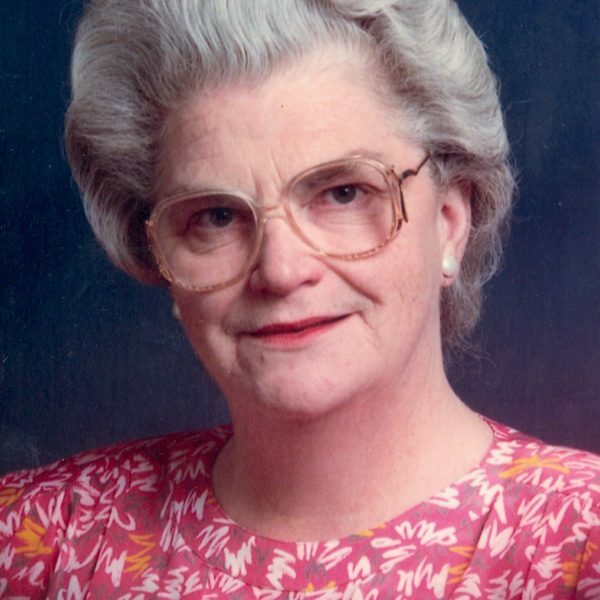 Geraldine was President of RNABC from 1973-1975, and known as an exemplary nursing educator, administrator, and practitioner who made many contributions to the development of nursing in the province. Her numerous awards included the Woman of the Year Award from Kamloops and a commemorative medal from the Queen, both in 1977. “Geri LaPointe Retires,” Royal Inland Hospital Newsletter, October 1991. Information from RNABC Presidents’ Book. Program from Service of Remembrance. “Geri LaPointe Remembered for Her Leadership in Nursing,” March 1997. Obituary in Nursing BC, May-June 1997, p. 21. Notice of commemorative medal presented on the occasion of the 25th anniversary of the accession of Queen Elizabeth. Joan graduated from VGH in 1957 and from UBC with a BSN in 1958. On completion of nursing at UBC, she commenced work at Vernon Jubilee Hospital. Her subsequent postings include the Central Vancouver Island Health Unit, Dawson Creek, Squamish, the Boundary Health Unit, South Okanagan Health Unit and Penticton. Highlights of her career include developing a new prenatal program for BC Public Health nurses, making a movie of birth and breast feeding, and giving each nurse a special area to develop as she saw the need. See Oral History files, Fonds 18, Series 3, Subseries 8. After graduating from the VGH School of Nursing in 1931 and with a BASc(N) from UBC in 1931. Geraldine worked as a public health nurse in Chilliwack. She recalls that “You were on your own and you had to make decisions.” In 1934 she was promoted to supervisor at the Cowichan Health Center on Vancouver Island, and in 1936 joined the newly formed Metropolitan Health Committee in Vancouver. She took a Masters’ of Arts at George Peabody College for Teachers in Nashville, and taught at UBC from 1939 to 1943. She left nursing in 1943, perhaps to get married, but returned to nursing in 1964 as a public health nurse in Abbotsford and later Haney. She worked extensively with former residents of Riverview (psychiatric) Hospital, helping them to lead more productive and fulfilling lives. Transcript of an oral history interview, August 1988. Geraldine Langton and Isabelle Chodat, “Planning Field Experience for a Postgraduate Course in Public Health Nursing,” The Canadian Nurse (1942) 39 (11), 739-744. “News Notes”, The Canadian Nurse (1939), 35 (9), 595. Geraldine Homfray, “Developing Hidden Skills,” The Canadian Nurse (1940), 36 (10), 690-691. Anna Lam was likely the first Chinese nurse registered in BC. 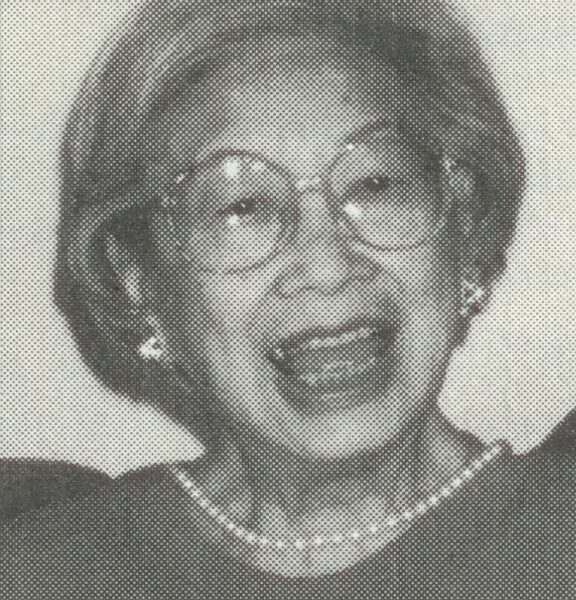 She was the daughter of the Fong-Dickmans, leaders of the Chinese community, and a talented pianist who retained a keen interest in music throughout her life. Her application for nurse training was rejected by four area hospitals; she was finally accepted by King’s Daughters Hospital in Duncan. She graduated in 1929, but her Chinese background made finding employment difficult. In the 1930s she was a pianist for the YWCA aerobics classes, and later took up painting. She was also an enthusiastic fan of the BC Lions. While she and her family experienced great discrimination in her early life, her family became prominent among the social elite of British Columbia. Her home was a center for dinner parties and musical evenings. Letter from E. Paulson to B. Fitzpatrick re A. Lam, March 28, 1996. Letter from K. Murphy to E. Warbinek re A. Lam, March 23, 1996. “Lives Lived”, the Globe and Mail, April 1, 1996, p. A20. Letter from History of Nursing News to Diana Lam, June 30, 1996. Esther Paulson, History of Nursing News, Spring 1996, p. 5. E-mail re Anna Lam as BC’s first Chinese nurse. Letter from Diana Lam to E. Paulson, March 20, 1996. Program for A. Lam’s remembrance service. Card recognizing donation in Anna Lam’s name to the Memorial gift fund. From 2003 to 2013 Marjorie Laisnes worked as a home care nurse in Arviat (Eskimo Point), which gave her unique insights into the Inuit culture. She recounts the rigours of life in the north, but also the immense personal satisfaction she drew from her work. “The experience taught me patience, to slow down and enjoy the moment, the sunset, the kid’s games. I have learned to be less of a consumer”. See Zerr, Sheila J. Rankin and Zilm, Glennis, Labor of Love: A Memoir of Gertrude Richards Ladner 1879 to 1976. 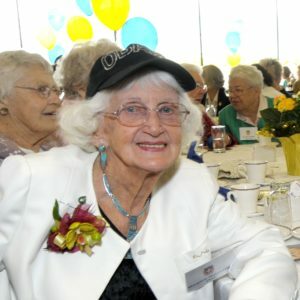 Dorothy Ladner graduated from VGH in 1942 and with a Bachelor of Applied Science in nursing from UBC in 1944. After serving in WW II as a medical nurse in the RCAF, she joined the BC Public Health Service. 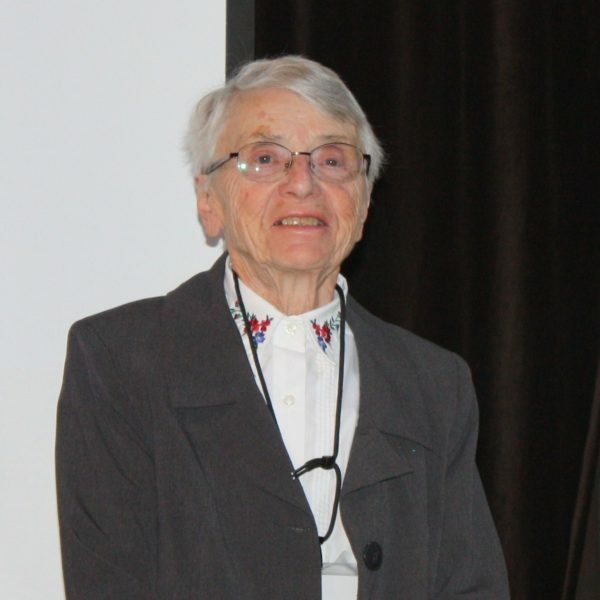 She received a Masters’ in Public Health from the University of Pittsburgh in 1965 and then returned to administrative positions, becoming stationed in Prince George as supervisor in the Northern Interior Unit. Keenly interested in the welfare of children, she became Executive Director of the Variety Club’s Children’s Treatment Centre in Surrey, but serious head injuries in 1987 from a car accident necessitated her continued care for the remainder of her life. After her death, her sister Edna Ladner endowed the UBC Faculty of Medicine with a memorial fellowship in her name for a graduate student doing research on the treatment of traumatic brain injury. Born in High River Alberta, Katherine had a diverse education and a varied career. The former included an RN from the Royal Alexandra Hospital of Nursing in Edmonton and an MA in psychology from the Adlerian School of Professional Psychology in Chicago, as well as attendance at numerous workshops. She states that while she has not been actively involved in independent research, she was committed to research-based practice. Katherine left nursing for fourteen years to raise her five children. On her return, she became a staff nurse at Foothills Hospital in Calgary, and then a nursing instructor at the same hospital. She spent a number of years in private practice as a lifestyle counsellor, and from 1978 to 1995 taught at Okanagan University College.